Born on August 23, 1974, Mohammad Yousuf will always be remembered by many for his much publicized conversion from Christianity to Islam, being the first Pakistani cricketer to do so. However, the Lahore run machine has also been one of the most consistent batsmen Pakistan have ever had, flourishing in a country known for its dearth of fast bowlers rather than batsmen. He was in sublime form in Test cricket in 2006, a few months after converting his religion which made him gel along with his team mates better and thus the environment improved for his success. This is a world record he has achieved at a close to Bradmansque average, that of 99.33. He scored these 1788 runs in 19 innings over a span of 11 Tests in 2006. It included as many as nine hundreds, three fifties and just one duck. 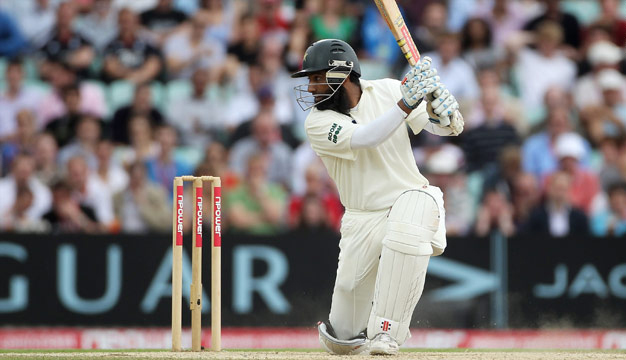 West Indies suffered the most of this carnage as Yousuf scored four hundreds in five innings in a home series against them while in England, he was the lone fighter scoring three hundreds in four Tests as Pakistan lost the series 0-3. His highest score of the year was against England at Lord’s where he hit 202. Richards is undoubtedly one of the finest batsmen of all-time, even in Test match cricket. Therefore it does not come as a surprise that he had atleast one outstanding calendar year. That year was 1976, just two years after making his Test debut. This was the period which was when he began to grow as the West Indies’ Mr. Dependable with his swagger ruining opposition strategies in the field. In 11 Tests that year, his best score was a breathtaking 291 off 386 balls in the last Test at The Oval against England. He also hit 232 in the same series at a similarly brisk pace, in the first Test at Nottingham. There was another hundred, a 135 at Manchester. That was his ultimate series as a player. There were three more tons against India at home, prior to the England tour and even before the India series; he had scored 101 against Australia at Adelaide. This totaled 7 centuries in one year as he averaged an exact 90 in the 19 innings he had played. The current South African skipper in only Test matches has been a better performer for his country in this format of the game rather in ODIs, and ever since he became captain, his batting just got better and better. Come 2008 and this was his peak period with the bat in Test cricket. He scored 1656 runs over the entire calendar year, with a majority of those helping South Africa win Tests in Bangladesh, India, England and Australia. This period also began the team’s rise to become one of the top two sides in the world in Test cricket. Smith’s highest score was 232 against Bangladesh in Chittagong where he was involved in a record opening partnership with Neil McKenzie. There were two hundreds to follow in England and in Australia, he scored a hundred in the second innings at Perth which laid the foundations of a successful run chase of 414. On aggregate, he scored six hundreds and six fifties in 15 Tests at an average of 72. This feat pays the ultimate homage to Tendulkar’s longevity and determination to be unstoppable. Even after playing more than two decades of international cricket, he is like wine, getting better and better with age. 2010 saw his old enthusiasm portrayed in a mature manner, with as many as 1562 runs coming in the year and in the process, seven more centuries were scored which has now almost made it impossible for Jacques Kallis and Ricky Ponting to break this record. Tendulkar’s batting may have been helped by the fact that most of the Tests played that year were in the Indian subcontinent, which traditionally has more or less good batting conditions. Yet, credit cannot be taken away from him for his consistency throughout the 12 months. In Bangladesh he scored two hundreds in three innings while in the home series against South Africa, he achieved the same feat since this was also a 2-Test series with India winning the final Test by an innings. He scored two double hundreds in the year, one in Sri Lanka and the other against the Aussies at home. But the most memorable ton of all was his 50th Test ton, which was against South Africa at Centurion. Although he had a minor hiccup against New Zealand at home, he capped off the year in style being the highest run-getter in the world as in 14 Tests, he averaged a staggering 78.10. The former Australian captain’s name will feature twice in this list, which goes to show the extent of his prime. He was at his menacing best in 2005 despite turning 30 in December 2004, at an age when usually the reflexes of a batsman start to slow down. His wicket is still priceless, but it was even more in 2005 when Steve Harmison, the England fast bowler was not hesitant in rating him as the No.1 batsman in the world, during the Ashes series. In that series, Ponting had a miserable time as leader of the side with no batsman performing as such apart from Justin Langer and bowler as such apart from Shane Warne. Yet, with the bat he scored a match-saving 156 in the second innings at Manchester in the third Test which gave the Aussies a dim hope of winning the next Test. It was one of the best innings of the year by any batsman. Otherwise, he began the year with a 207 against Pakistan in Sydney which was his best score of 2005 and a series winning century in New Zealand. Twin centuries in the Brisbane Test against West Indies were to be seen in November 2005, while the marquee clash against South Africa made Ponting raise his game higher and a 117 in the second Test at Melbourne made the Aussies go 1-0 up. His 1544 runs came in 15 Tests at an average of 67.13. This was one of those years where it seemed that Punter will score a century, let alone a fifty in every innings. He was not still the matured bulwark of the Australian Test side, but this was the year in which he became one. Ponting seemed to have been buoyed with the World Cup 2003 win under his stewardship, with his 140 not out in the final helping in the cause. A Test series in the West Indies was to follow and although he handed back the captaincy to Steve Waugh, he was in rich batting form. In the 3 Tests he played, he scored a century each and Australia won all those matches. Three more tons were to follow at home, with one being against minnows Zimbabwe. The other two were against India and both were double tons, which ended the year in style. In his 242 at Adelaide, he made full use of the excellent batting conditions, yet Australia lost. 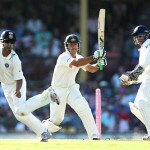 But he bettered that effort in the next Test itself with 257 in Melbourne, which helped the team win. No wonder he averaged 100.20 which grab eyeballs, as he took just 11 Tests to score those many runs. This was the year that Vaughan announced himself to the cricketing world as England’s first batsman who had the potential to become an all-time great. He made his Test debut only two years back, and was establishing himself in the team at the time, under the supportive Nasser Hussain’s stewardship and Duncan Fletcher as coach. With his 1481 runs in the year, he had quickly risen to be officially the World’s No.1 Test batsman. The joyride began against Sri Lanka with a 115 in the second innings of the first Test of the home summer in 2002 at Lords. The same ground was to see him score another hundred two months later, which was against India. 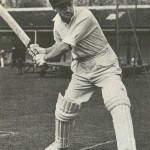 That series contained some of Vaughan’s finest hours as a Test batsman with a 197 in the second Test at Nottingham and 195 in the last Test at The Oval, which denied India an away series victory. But he proved that his efforts throughout the year were not a fluke, when he hit three hundreds in the Ashes series in Australia in five Tests. He played 14 Tests or rather 26 innings to get these runs, at an average of 61.70 with six hundreds throughout the year. Langer has been one of Australia’s supreme Test batsmen in the era gone by, and certainly one of the best openers to have batted in this format of the game. His ability to bat all day long frustrated oppositions so much and they were even more in 2004 as he found top form. He played 27 innings to accumulate those many runs, at an average of 54.85, which is the lowest in the list so far. But almost each of his scores contributed to Australia’s victories in some manner or the other. He started off 2004 with a 117 against India in the New Year’s Test at Sydney which unfortunately ended in a draw. But his magnum opus innings of the year was his 166 in the final Test at Colombo in the Test series against Sri Lanka, which Australia won and as a result whitewashed the hosts for the first time ever. Following which, his 52 on a rough wicket in the first innings of the first Test at Bangalore set the tone for Michael Clarke to bring up a Test ton on debut, to guide Australia to a rare Test win in India, which eventually was a series winning effort. Come the home summer and he hit a sedate 215 against New Zealand at Adelaide and 191 in the next Test Australia played, which was against Pakistan at Perth. Sehwag is the last man in this list as he will appear yet again, which proves his heavy scoring appetite in Test cricket. He has 14 scores of over 150 and three of them came in this very year itself. Although he only three hundreds, but all were huge innings in terms of runs and value to his side. His first was in January 2008 against Australia in Adelaide where he scored 151 in the second innings to guide India to a draw, which was the safest option for the team in the match. Followed by which, in March 2008 against South Africa in Chennai, he hit a spell-binding 319 off just 304 balls, his highest Test score till date. The so-called world’s best bowling attack was torn into pieces. And his last was a swaggering 201 not out against Sri Lanka in Galle in the second Test, as Sehwag single-handedly led India to the victory post, carrying the bat. This innings was commendable considering the failure of the rest of the powerful batting line-up against the spin duo of Muttiah Muralitharan and Ajantha Mendis. He also hit a significant 83 in the 387 run chase against England at Chennai, which was a successful one ending his and India’s year in style. Sehwag averaged 56.23 in 27 innings. Sehwag was just 40 runs short of his run aggregate in 2008, with 1422 runs in the year 2010. He took full advantage of playing in the Indian subcontinent, and the best part was that he was in the form of his life in Test cricket for the last three years in a row. Like Tendulkar, Sehwag also dominated the year as he carried India’s batting on his shoulders. He scored two centuries in three innings against South Africa and three scores of 109 were seen in the year, which may be termed as co-incidence. The two of those 109s came in Sri Lanka, but none of them helped India win. And against New Zealand at home, he hit 173 in the first innings of the opening Test at Ahmedabad which helped in another draw. He played 14 Tests just as in 2008, but took only 25 innings to smash these runs at an average of 61.82 with five hundreds and eight fifties to his name.